We have the materials you need to succeed. 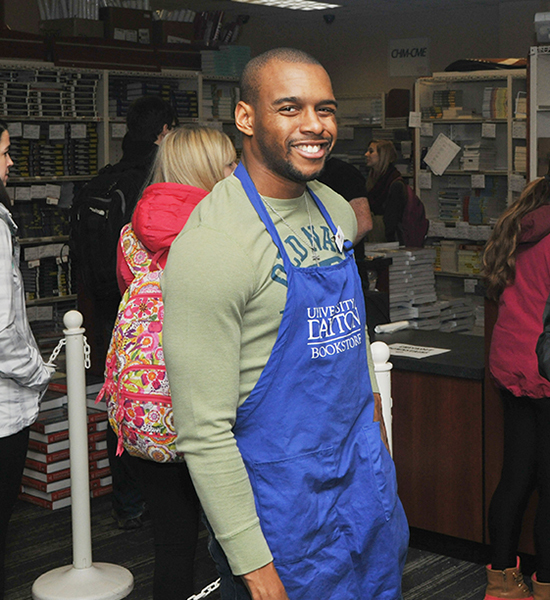 The University of Dayton Bookstore is proud to be a Good Faith Course Materials Campus. We collaborate with faculty and publishers to provide course materials options that are affordable and accessible, contributing to student success. Friendly and knowledgeable staff will help you find the right books for your courses. We can print your schedule, match it with our booklist and come up with a shopping list of everything you need. Our staff can highlight the differences between new, used, rental and e-books so that you can make the right decision for your situation. Our first-class customer service includes working with the student when the unexpected occurs, like a last-minute change in required textbooks for a course. We do everything we can to keep prices for students at a minimum by offering the most cost-effective options. In an effort to keep costs down for our students, we shop our entire booklist online to see exactly how competitive we are. In some instances, we were priced lower than our online competitors. In other instances, we were about the same. We continue to place our focus on the titles where we come in above the competition so that we can continue to be your first stop for course materials. 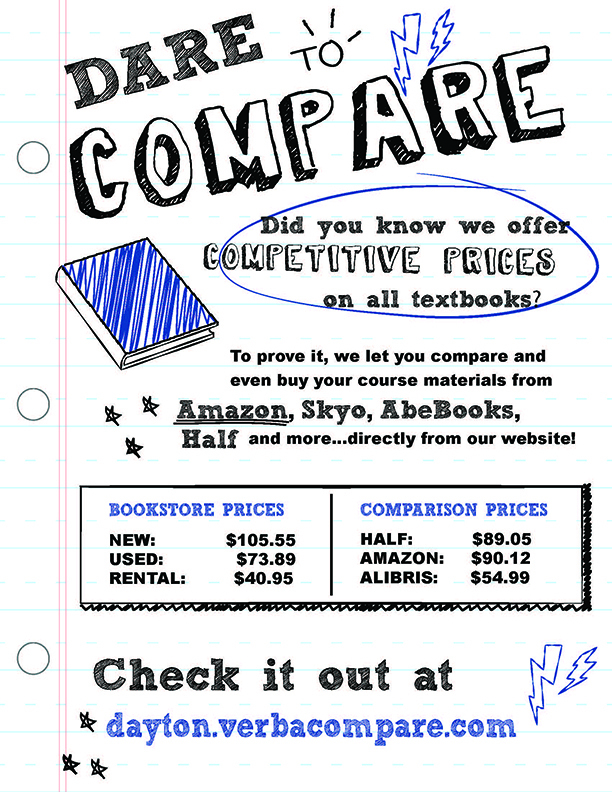 We offer competitive prices on all textbooks! To prove it, we let you compare and even buy your course materials from Amazon, Skyo, AbeBooks, Half.com and more...directly from our website! We have what you need to get ready for the classroom. Check here before you go anywhere else to purchase your books.